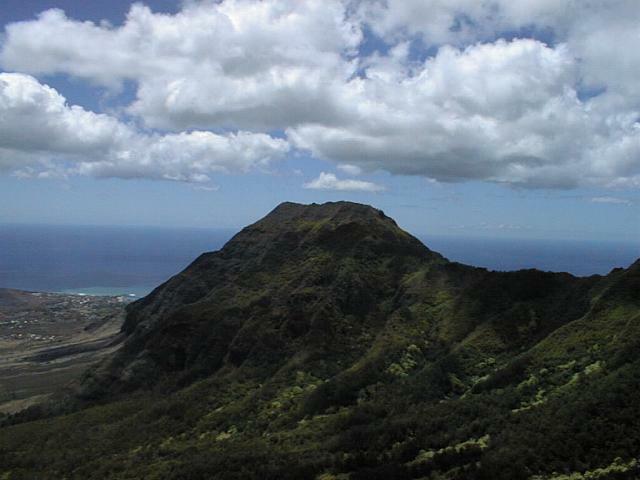 At 4025' Mt Kaala is the highest peak on Oahu. 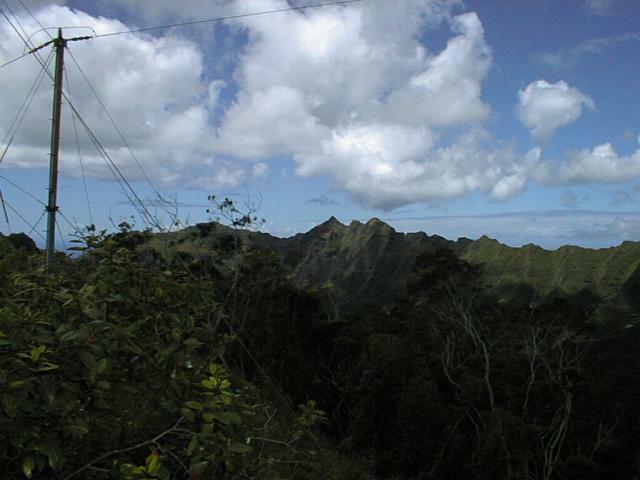 As you look at the Waianae range from a distance, it's the broad mountain on the north of the mountain range. 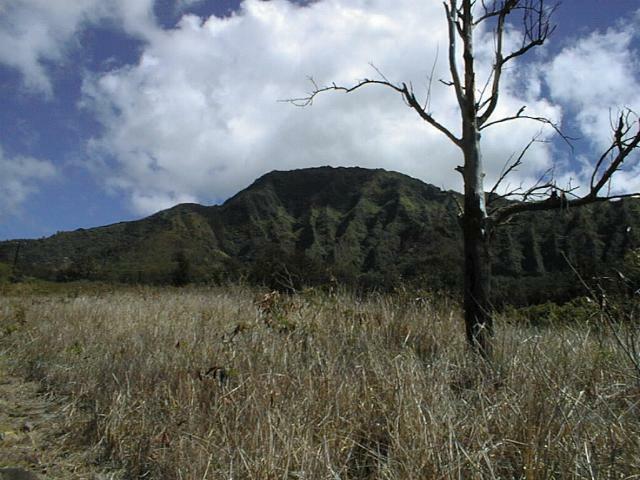 The hike begins at the back of Waianae valley. I've heard that the gate to the water tank is open during the week, but we went on the weekend so we had one helluva hike up the paved road! The incline must not have been too bad though because my knees weren't screaming in pain. Once you reach the dirt trail, you go up a distance until the ridge narrows. You head down and across a stream to the opposite ridge. Take the trail left! 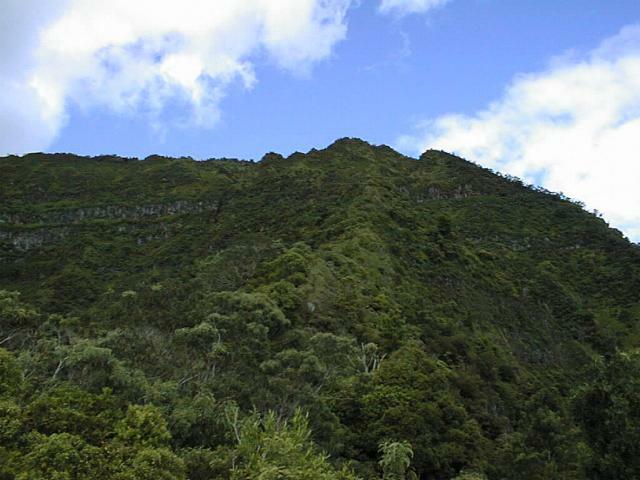 This will wrap around the ridge through strawberry guavas and some pretty steep climbs! It was neat here because you're walking through alien vegetation and suddenly, it's almost all native! 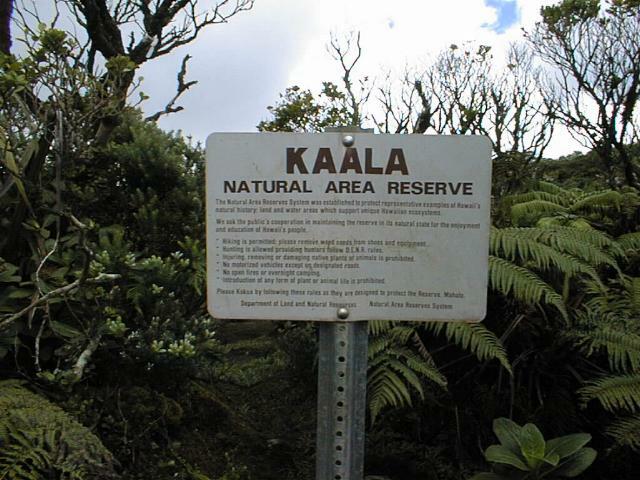 From there we hit some pretty stiff climbs until you break out into the open with great views of Waianae valley, Waianae Kai ridge and Ohikilolo ridge! The ridge then gets steeper before the summit. I didn't get a good look going up but when we came back down I took it in and it looks pretty steep! This section includes a climb up about a 10 foot boulder. Pretty soon you're at the top! The walk through the preserve is neat and as you come out near the FAA station you can take the road down to the top of the Dupont trail to see the North Shore! The top really isn't that great, but just knowing you've hiked to the top of Oahu is pretty cool! Notes: You need to be in good shape for this hike because there are some pretty steep climbs! But you don't really realize just how steep until you look at it after you've come down. It's also a very hot hike but you should wear long pants and bring gloves because of the overgrown thimbleberries. We were actually doing a lot of clearing on the way up so it took us 4 hours up...then only 2 hours back down. We also got to see some native snails quite by accident as we found them on our shirts! The only difficult section of the hike really is at the boulder section just below the top. There's a rope ladder there for assistance, or you can just climb up the cable next to it. Looks a lot harder than it actually is.